We have many products you can choose from and we deliver nationwide! 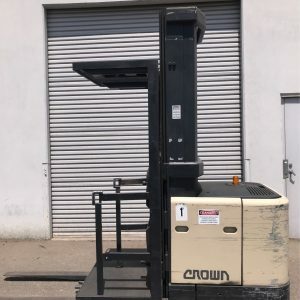 Are you searching for a used order picker forklift for your business? Compact, efficient and versatile, they have a place in almost every commercial or industrial warehouse or storage-based environment. 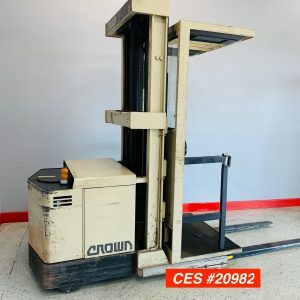 Designed to make picking out products, pallets and other items simple, these products are an essential for any warehouse, fulfillment center or mid-sized to large retail store that offers a wide range of different items. The smallest type there is, an order picker can be used to help drivers easily access products stored high on interior shelving. They can also be used to transport pallets around in a warehouse environment, as well as for stacking pellets on top of one another. As a versatile, compact one, you’ll be able to spot one inside almost every busy commercial warehouse. Looking for the right one for your business? We stock a large range of products to suit every budget and business. For more information, please continue reading below or get in touch with our team by phone or email. What differences do they make? Order pickers are the smallest type of commercial forklift. These are designed to fulfill individual purchases rather than full pallets. For example, it is typically used to access a single-piece or case picking, rather than to access and move an entire pallet. 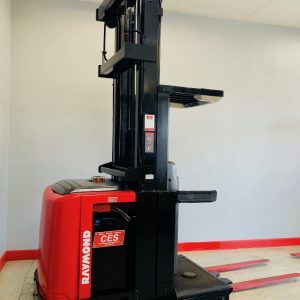 Unlike most forklifts, which have a sit-down design in which the driver sits behind the lift, these allow the driver to stand on the lift area itself. This means that the operator also moves up and down with the lift, making it easy to pick out individual orders for customers. Because of their versatile design, they can be used for a wide range of purposes. The most common uses of these include picking up small items, accessing larger items such as home furniture, carrying small boxes and even transporting multiple items at once. 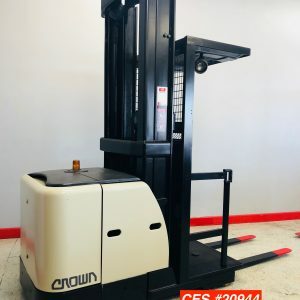 These are significantly smaller than conventional sit-down forklifts, making them an ideal choice for smaller warehouses, fulfillment centers and other environments in which a larger, full-size one might not be appropriate. The smaller dimensions also make them great for dense, tightly-packed storage areas with relatively narrow aisles. Most of these are designed to reach a height of up to 240 inches. However, some models are capable of reaching even higher levels, with certain products capable of reaching up to 390” in height. There are several key differences between order pickers and sit-down forklifts. 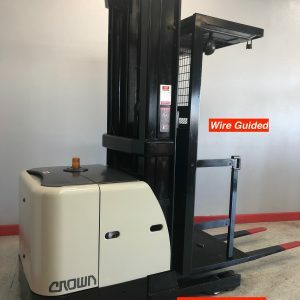 First, the designs are completely different — while a sit-down is designed with the driver seated well behind the lift, it has a platform from which the driver can operate the lifting mechanism. This means that the operator can move up and down with the picker, rather than staying seated as they would with a conventional sit-down. They are also significantly smaller than conventional sit-downs. They’re usually less expensive to purchase, relatively easy to operate, and designed for environments in which a larger one might not be suitable. There’s significantly less protection than there is inside the cabin of a normal one. There’s no protected cab, meaning that the operator isn’t as protected against the risk of falling items as they would be inside it. Finally, there’s the productivity aspect. 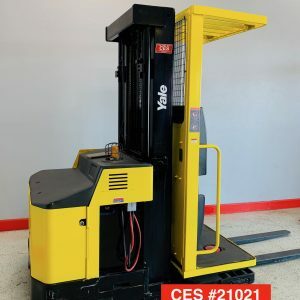 While they are designed for moving whole pallets at a time (a task they excel at), they are specifically designed for smaller objectives, such as accessing and picking a single product at a time. 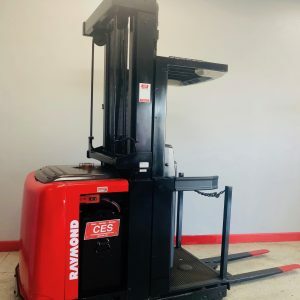 Many are priced below conventional sit-down electric forklifts, allowing you to equip your warehouse or storeroom at a lower cost. Because of their smaller dimensions and design, these are ideal for fitting down tight, narrow aisles between shelving — an environment many larger ones may not fit into. 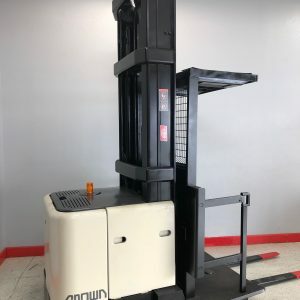 They allow your staff to move up and down with the equipment’s platform, letting your warehouse or fulfillment center staff pick up individual items without having to lift an entire pallet down from the shelf. 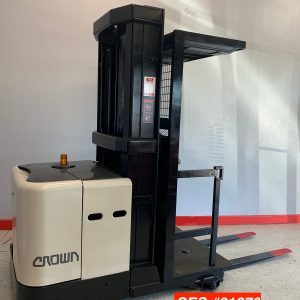 Used effectively, these can significant increase productivity in your warehouse and make fulfilling customer orders a faster, easier process. Because of their simple design, most of these require relatively light maintenance and cost far less to operate than conventional diesel or propane. By using it, you can pack your shelves higher than you might normally be able to, helping you more efficiently make use of your storage space. Searching for the righ tproduct for your warehouse? We stock a large range of high quality pre-owned equipment, including fully reconditioned models that offer an outstanding level of value for money. Our collection includes models with a 195” maximum mast height, as well as a wide range of models with mast heights of up to 240” in total. 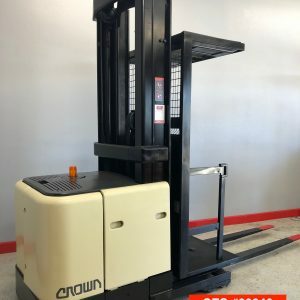 Affordably priced, our extensive selection of reconditioned models let you equip your warehouse or storage area at a low cost. In addition, we stock a huge range of conventional ones, including sit-downs, four-directionals, turrets and more. 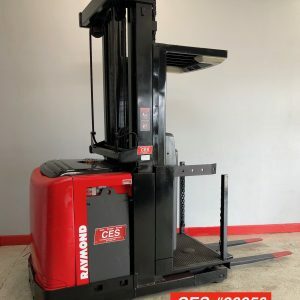 All of our pre-owned forklifts are sold with a one year battery warranty to give you total peace of mind and protection. Whether you need to purchase for your retail store or for a large warehouse, we’re here to help. From recommending the right products to helping you with financing, our team can help to manage and simplify every aspect of purchasing your new productsand equipment. 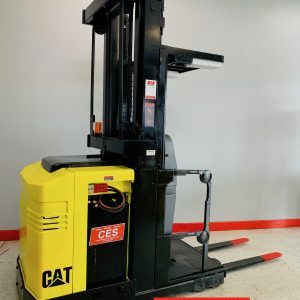 With more than 20 years of experience, we’ve helped hundreds of businesses in California and throughout the country purchase the warehouse equipment they need. We also offer rental services for businesses of all sizes. For more information or to request a quote for any of our products and other equipment, please contact us now.